Cosmedical responsive & retina ready premium WordPress theme suitable for Hospital, Doctors, Health, Clinic, and medical related websites. Theme has Services, testimonials and staff custom post type sections are very handy to manage staff directory and other appropriate information such as business services, user testimonials so easily. Cosmedical medical theme included with various colour schemes and slider revolution ($18) premium WordPress plugin helps you to create handsome full width slider animations with stunning features. 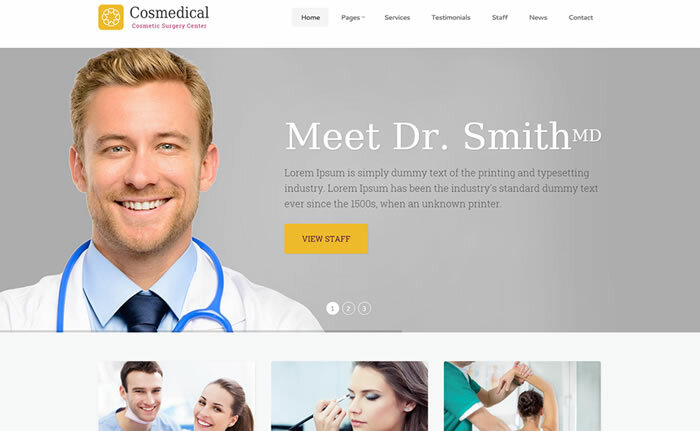 Cosmedial medical WordPress theme cross browser compatible WordPress theme and compatible built using famous Underscores framework. Included with various page templates, price tables, shortcodes and able to translate website in any language without lifting fingers. 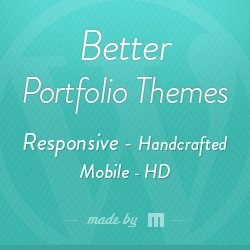 Bundled with XML file which contains demo content helps you to setup your website in no time.